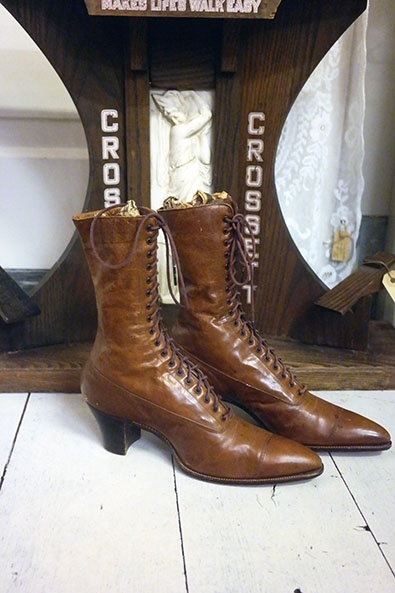 Beautiful and very rare to find antique shoe display with boots, ca. 1905. 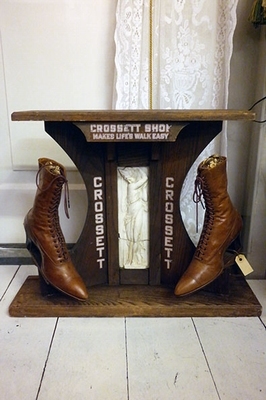 This display with boots once stood in a warehouse window as an advertisement. 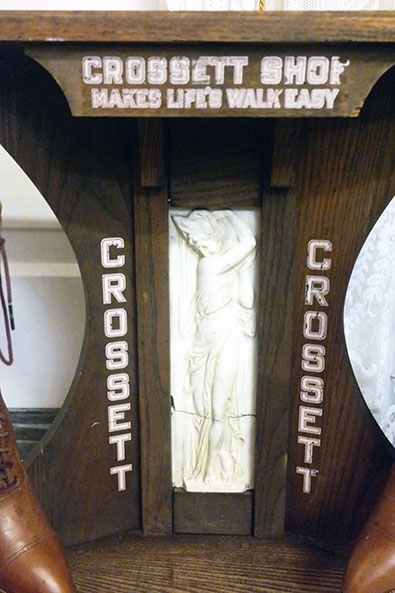 The display is made of solid wood with a polished plaster insert in the middle, and has the brand name and logo on the front. Crossett Shoe, Makes life's walk easy. The stand is in good condition, very solid (and heavy! ), only the plaster decoration has a crack through the middle. The shoes are original to the display, so they have never been worn and are in almost perfect condition! Only some very minor scuffing on the soles from were they've been on the stand for over a 100 years. The display measures approx. 61 cms wide, 48,5 cms tall and 16,5 cms deep. 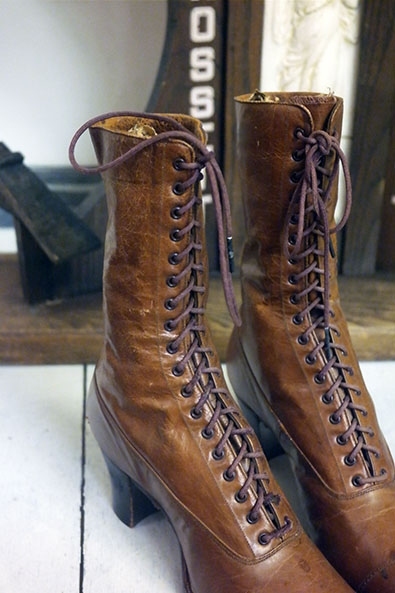 The boots are a very small and narrow size, sole length approx. 23 cms.